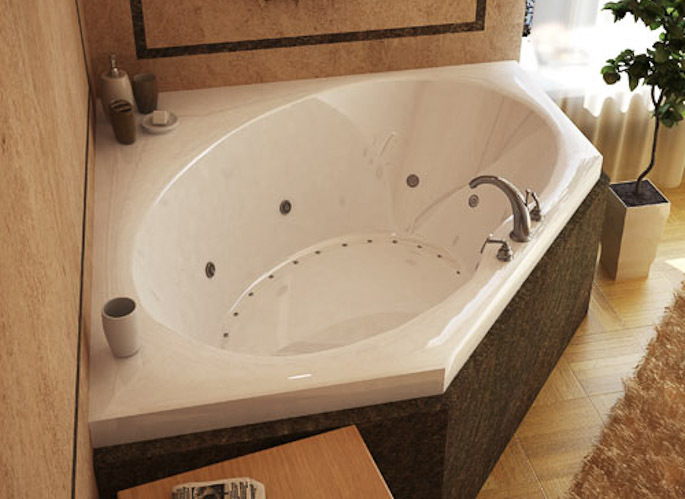 The Atlantis Eclipse corner tub has an oval interior with deep bathing well. Key design features of this bathtub include a molded pattern floor and angled ends with ample room for two adults. Available as a soaking tub, air tub, whirlpool tub or air/whirlpool combination for the ultimate spa bathtub experience. Call 800-720-1062 for more details.